Iran is secretly helping Syrian President Bashar al-Assad put down pro-democracy demonstrations, according to U.S. officials. The height of US double standards, corruption and betrayal. 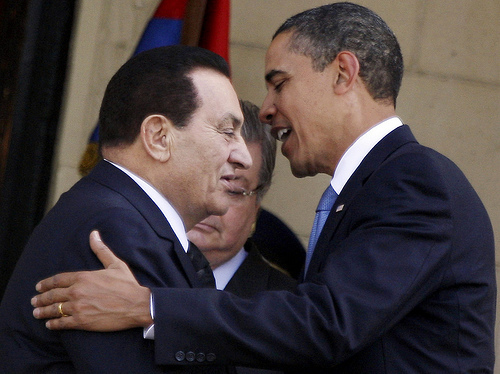 The Egyptian dictator went from being a good friend to a pariah within tho month.